Includes the names: Wynne J Diana, Wynne Jones d, W. Diana Jones, Diana Wyn Jons, D. Wynne Jones, Jones Diana W., Diana Wynn Jones, Diana Wynne Jones, Diana Wynne Jones, Diana Wynne Jones ... (see complete list), Diana Jones Wynne, Diana Wynne Jones, Diana Wynee Jones, Diane Wynne Jones, Diane Wynne Jones, Diana Wunne Jones, Jones wynne Diana, Dianna Wynne Jones, Dianna Wynne Jones, Dianna Wynne Jones, Ed. Diana Wynne Jones, Diana Wynne chosen by Jones, Diane Wynne Diana Wynne; Jones Jones, Diana Wynne Jones/ Greenwillow Books, Diana Diana Wynne; Wynne Jones Jones, Diana Wynne Jones; Narrator Gerald Doyle, ダイアナ・ウィン・ジョーンズ, Diana Wynne Jones; Jenny Sterlin (Narrator). The ADVENTUROUS READERS CLUB will discuss The Islands of Chaldea by Diana Wynne Jones. Are you tired of feeling ashamed every time you creep into the Young Adult section of BookPeople? Well, the Forever Young Adult Book Club is here to offer you relief! We're a group of adults (technically) who meet at 5 PM the second Sunday of every month. This month’s book is Howl's Moving Castle by Dianne Wynne Jones, so leave your shame at the door, grab a cocktail, and join us! The location of the meeting changes, so please email foreveryoungadult@gmail.com to learn more. Diana Wynne Jones is currently considered a "single author." If one or more works are by a distinct, homonymous authors, go ahead and split the author. 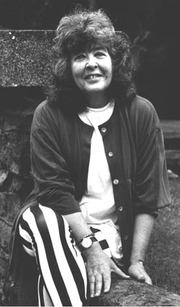 Diana Wynne Jones is composed of 29 names. You can examine and separate out names.